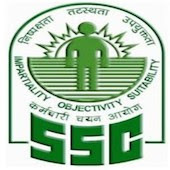 Online Application Details for Staff Selection Commission SSC Recruitment of 2 Laboratory Assistant is given below. Application form and duly attested documents are to be sent to The Regional Director, Staff Selection Commission (NER), Housefed Complex, Near Last Gate Dispur, Beltola Basistha Road, Guwahati-781006. In envelope super scribed with 'Application for the Post of Post Name'.